This is the most recent information about Dixie Cups that has been submitted to amIright. 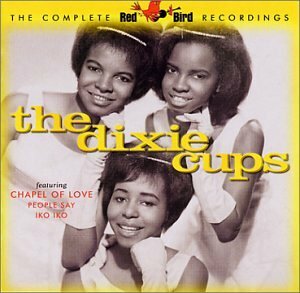 If we have more information about Dixie Cups, then we provide a link to the section where it appears (the actual page whenever possible). "Chapel Of Lover" originally "Chapel Of Love"
"You Should Have Seen The Way He Looked At Men" originally "You Should Have Seen The Way He Looked At Me"
"You Should Have Seen The Way He Looked At Moe" originally "You Should Have Seen The Way He Looked At Me"
"You Should Have Seen The Way He Looked At Mae" originally "You Should Have Seen The Way He Looked At Me"
"You Should Have Seen The Way He Looked At Mel" originally "You Should Have Seen The Way He Looked At Me"
"You Should Have Seen The Way He Looked At Ma" originally "You Should Have Seen The Way He Looked At Me"
"People Sad" originally "People Say"
"People Sat" originally "People Say"
"Little Bill" originally "Little Bell"
"Little Dell" originally "Little Bell"
Chapel Of Love Divorce Court Ramona B. For when you're really not thirsty at all. 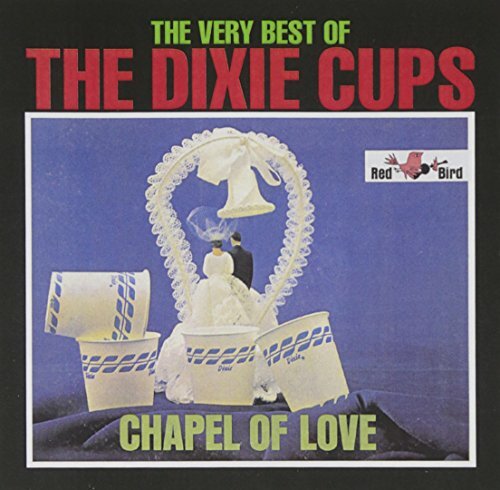 There are additional Dixie Cups Combined Groups that haven't been done yet available. buddy of mine heard it this way when it was a new record.. This is a political song, so this line doesn't really fit. Isn't SOME face of a die always up?